H. Rick Bamman - hbamman@shawmedia.com Heisler Bootery owner Jim Heisler talks about the 100 % occupancy in downtown Crystal Lake. The shop has been in Clrystal Lake since 1908. 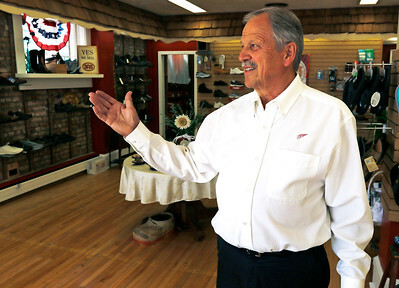 Heisler Bootery owner Jim Heisler talks about the 100 % occupancy in downtown Crystal Lake. The shop has been in Clrystal Lake since 1908.